Ontario will finally eliminate the initial $30 Drive Clean fee in April 2017, nearly 14 months after it first announced it would kill the fee — a delay that irked auto dealers impatient for the change. Minister of Finance Charles Sousa said in a budget delivered Feb. 25 the fee, but not the test itself, would be eliminated sometime in 2016-2017. 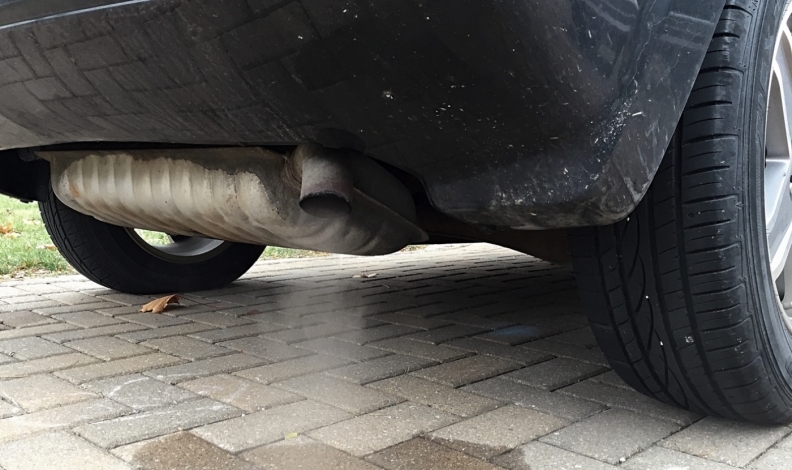 The Drive Clean test determines if a vehicle meets Ontario emissions standards. If it doesn’t, a vehicle owner must make necessary repairs before the vehicle is allowed on the road. The association viewed the fee, which has generated $5 million for the government, as just another tax on car buyers, who already pay for vehicle permits ($20), plates ($45) and yearly plate stickers ($60 in northern Ontario and $120 in southern Ontario). While TADA is happy the fee is going away, it isn’t fully satisfied with the government’s decision. It wants the Drive Clean program eliminated, or at the very least it wants used cars newer than seven years old to be exempt. That’s because demos and pre-owned vehicles, some of which are just a few months old, still require the test. Although, that requirement may change, too, the ministry told Automotive News Canada in a followup email received Tuesday. Demos are considered used in Ontario, and therefore required a test before being sold. “It’s just a pain, especially for new car dealers, to get the test when the car is essentially brand new,” Notte said. Used vehicles older than the current year must pass a valid Drive Clean test when they are sold. The rule applies to dealers and private sales. Only vehicles sold to an immediate family member are exempt from a test. “If a demo is six months old and a dealer gets around to selling it, he has to waste the time and money on the test when he knows the car is going to pass anyway,” Notte said. New cars purchased from a dealer are exempt from the test, but cars and light-duty vehicles are required to get the test every two years, once the vehicle is seven years old. Auto dealers say it doesn’t make sense that a two-year-old used car sold at a dealership needs a test but a six-year-old car that was bought new and hasn’t changed hands doesn’t. TADA may get its wish. More changes to the program are coming, a ministry spokesman told Automotive News. The Ministry of the Environment and Climate Change is proposing a number of improvements, most of them dealing with paperwork, documentation and service in island communities. However, it is being proposed that used vehicles that aren’t seven years old will no longer require the test when they change ownership. All light-duty vehicles will still require their first biennial Drive Clean test for licence plate renewal at seven years old. The 75-day public consultation period on the proposed changes closed Oct. 8, 2016. The ministry wouldn’t say which changes are coming. “While it’s too soon to answer questions regarding the timing of the proposed changes, the ministry should have a better idea in mid-December,” spokesman Gary Wheeler said in an email. Mechanics conducting tests on demos and used cars at dealerships are taking time away from other customers, costing dealerships money, Notte said. The $30 fee is currently used to reimburse the dealer or mechanic for conducting the test. Vehicle owners had to pay for any repairs. Funds to support the program will come from the government’s general revenue, once the fee is axed. Notte said dealers and their staff face the brunt of consumer criticism of the program because they’re on the front lines daily.